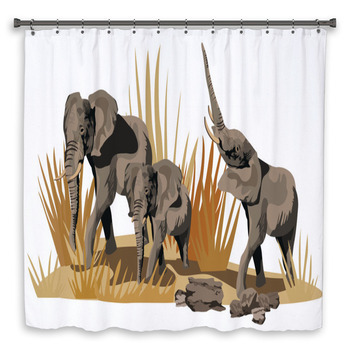 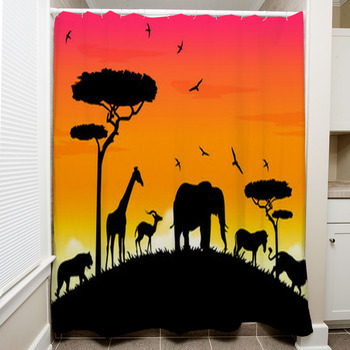 It's time to stop looking at the same plain colors and lame designs when you are in the bathroom and start enjoying gorgeous vistas of Africa and its inhabitants on our African bath decor. 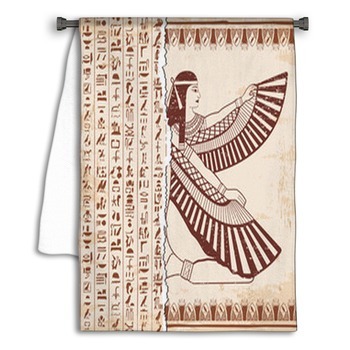 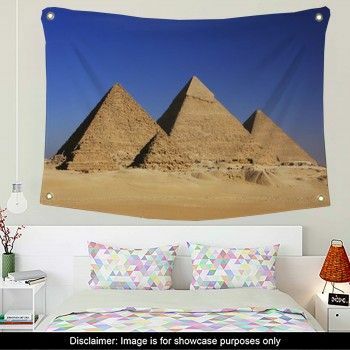 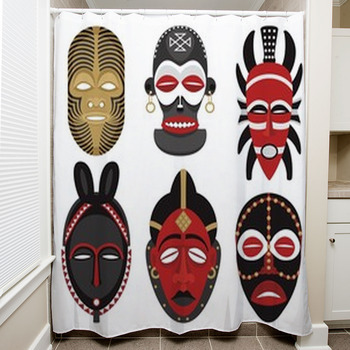 Choose custom size shower curtains displaying four camel riders marching across the desolate sand dunes of the Sahara Desert as they are reflected into the water of a rare oasis pond, the profile of a male lions face and flowing mane, an African bath decor of a tablet with carved ancient Egyptian hieroglyphics, or an African towel with herd of elephants stomping across the plains beside sparse trees, with the snows of legendary Mt. 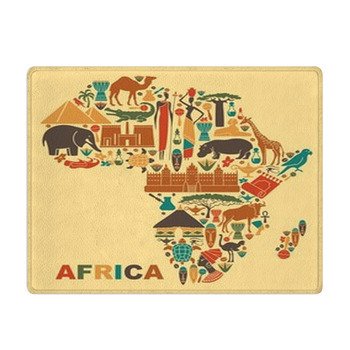 Kilimanjaro, the tallest mountain in Africa, behind them. 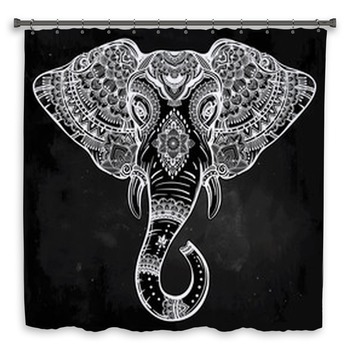 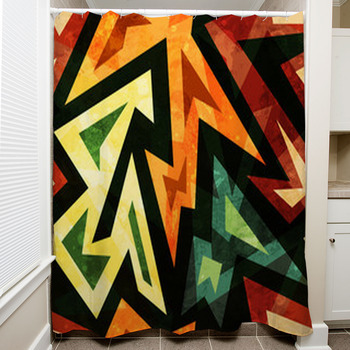 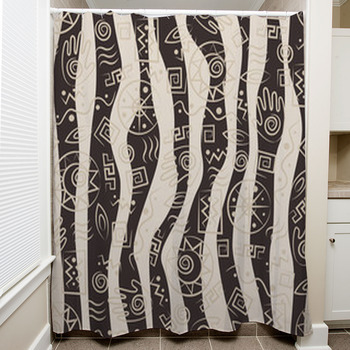 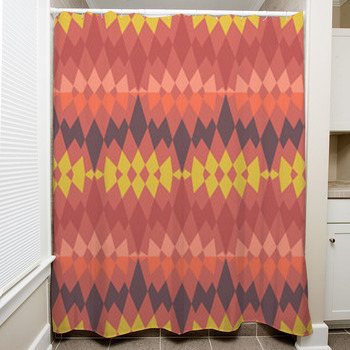 When you get out of the shower, step onto a bath mat depicting an African ornamental weaving in brown and tan stripes filled with geometric patterns, the deep orange and red swirls of African abstract art, a blue map of the world with Africa highlighted in orange, or a collage of black on white African artistic representations of a horn player, a frog, a fish, a ram, a traditional drum, footprints and more. 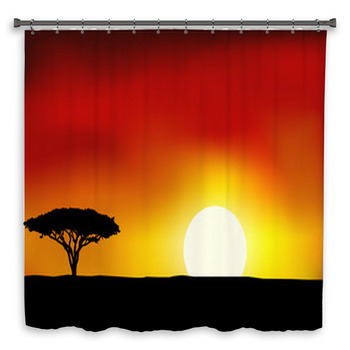 Then, dry yourself with a towel displaying ancient rock paintings of hunters chasing gazelles with bows and arrows, a woman dancing in a fantastically bright colored African dress, a woman balancing a huge gourd full of water on her head as she walks in the scorching African sun, or the wide branches of an acacia tree as it reflects onto a pond and the sun rises behind it, turning the sky and water orange. 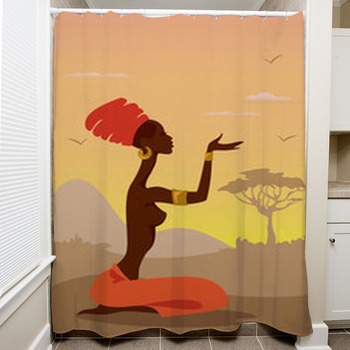 Whether you have African heritage or just admiring their beauty, history, and culture, decorating with African bath decor will bring you much closer.